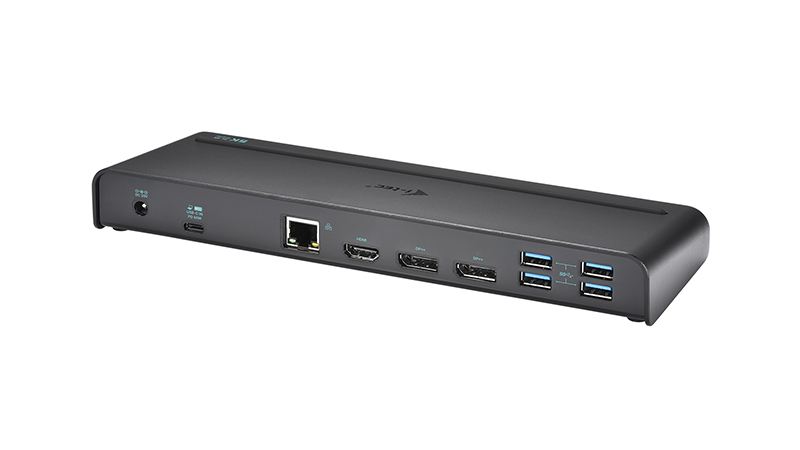 Graphics Interface: 2x Display Port and 1x HDMI (HDMI port available when USB-C with DisplayPort Alt Mode is connected). Lease This 5K Capable i-Tec Docking Station and Maximise Your Connectivity. 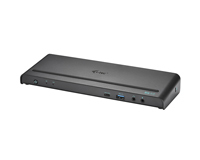 The i-Tec Thunderbolt 3 5K & 3x 4K Docking Station features 5K Capability with the dual Display Port and thanks to the top performing graphics chip you can enjoy 5K regardless of whether your notebook supports 5K Technology. 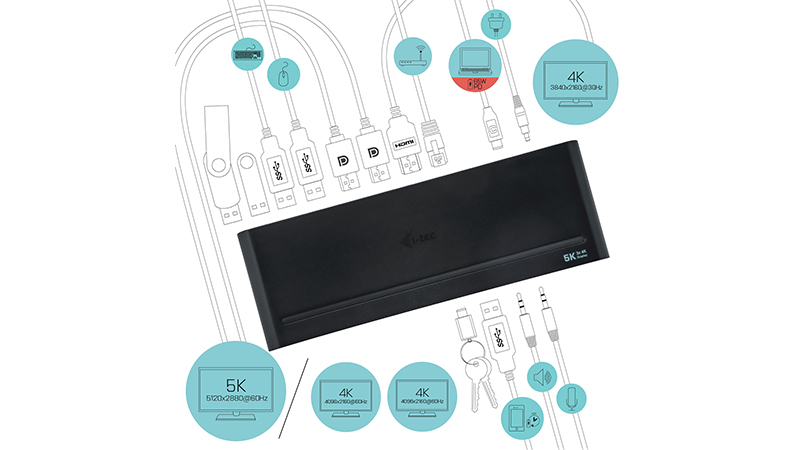 You can also take advantage of 3 x 4K Monitor support with the various outputs at your disposal. 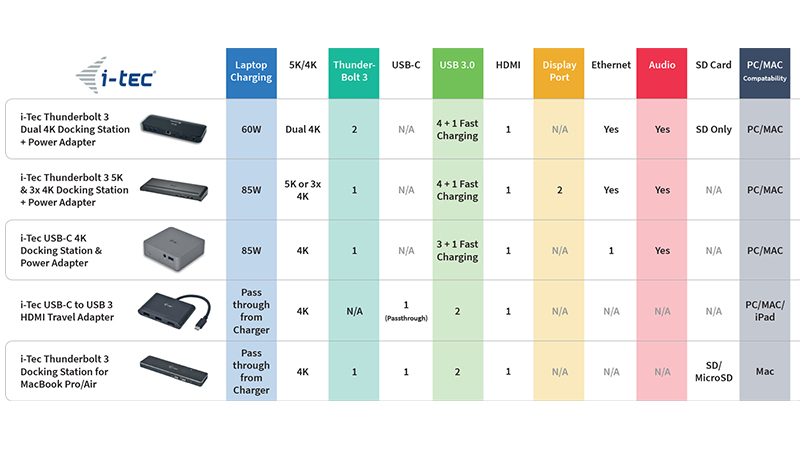 This product will allow you to make use of all your favourite accessories whether they are USB 3.0/USB-C/Thunderbolt 3. This means you won’t have to spend so much time constantly connecting and disconnecting devices every time you travel with your notebook. 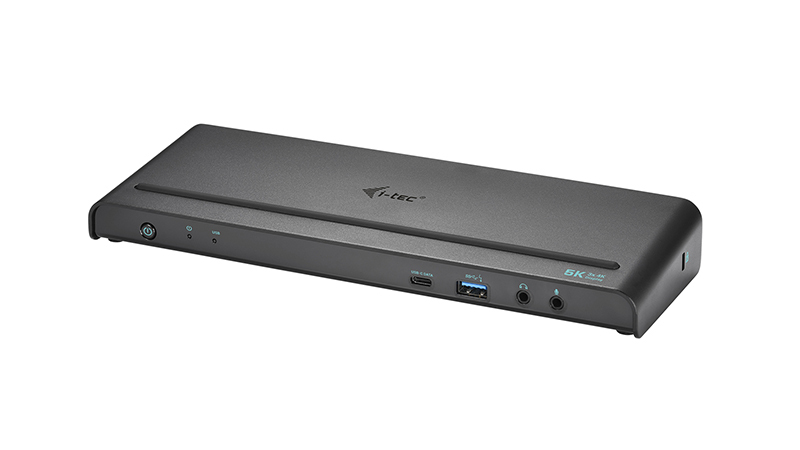 Leasing the i-Tec Thunderbolt 3 5K & 3x 4K Docking Station provides you with an incredible amount of utility with its universal selection of connectivity and maximising the Display capabilities of your notebook.